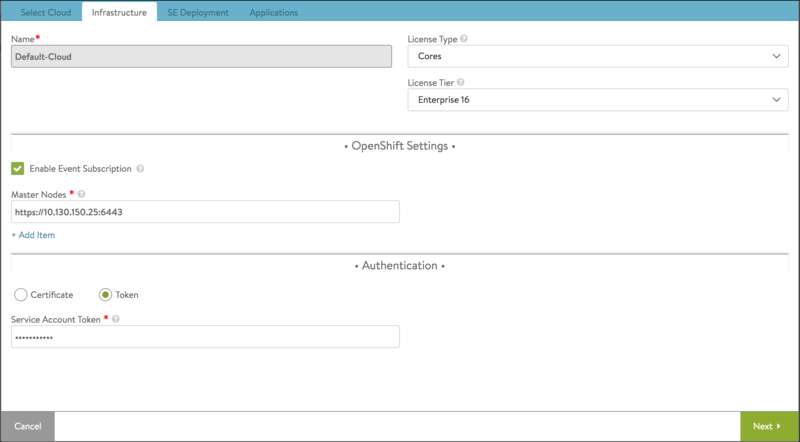 Note: IPv6 is not supported on Openshift v3 or Kubernetes cloud as yet in Avi Vantage. 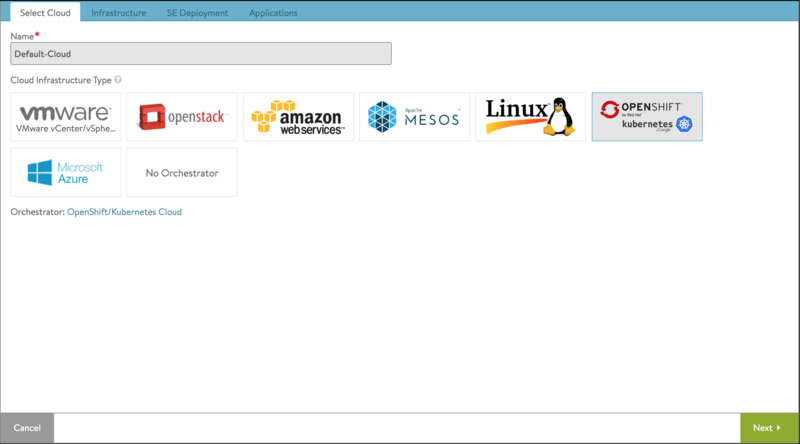 Log onto the OpenShift node. 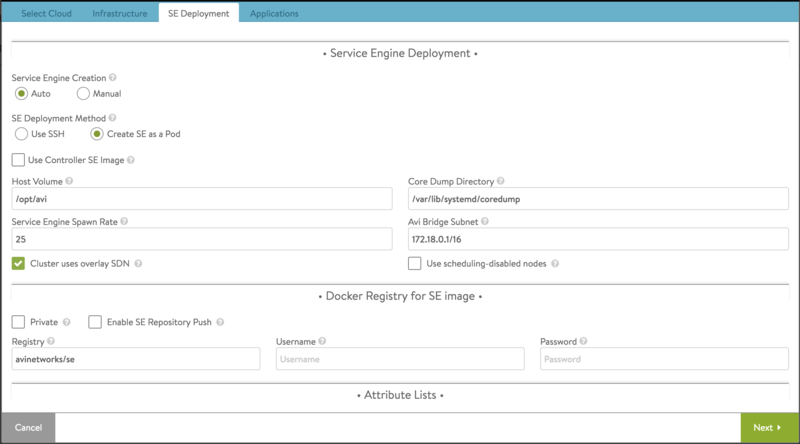 Load the Avi Controller image into the host’s local Docker repository. As a best practice, clean up any data that may be lingering from a previous run. 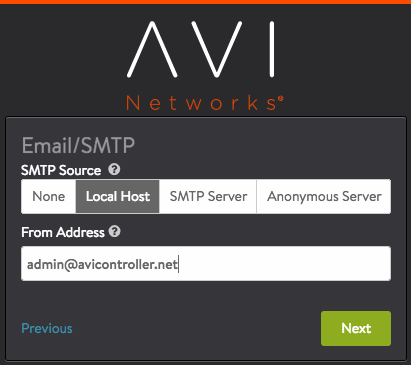 Use the vi editor to create a new file for spawning the Avi Controller service. NUM_CPU – Sets the number of CPU cores/threads used by the Controller (8 in this example). NUM_MEMG – Sets the memory allocation (24 GB in this example). DISK_GB – Sets the disk allocation (64 GB in this example). $$TAG – Replace with tag value of the Avi Vantage image in the Docker repository. For example, “16.3-5079-20160814.122257”. Set DNS and NTP server information. 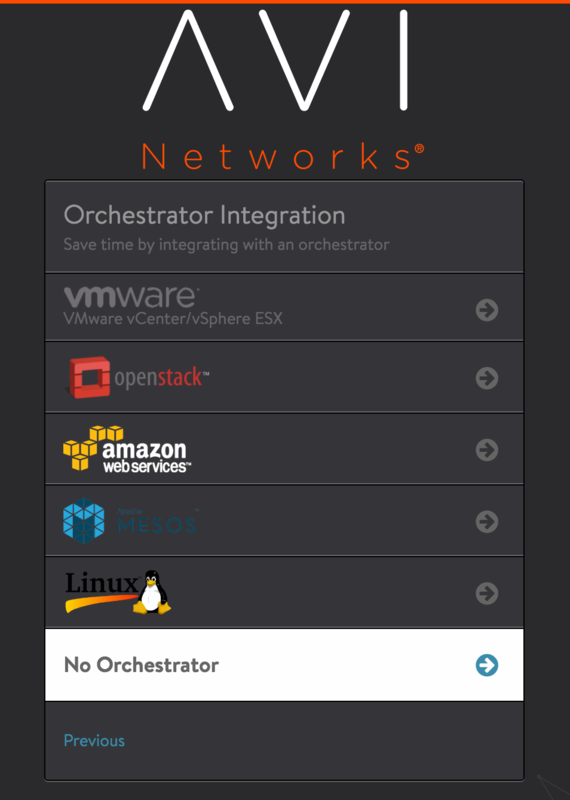 Select No Orchestrator as infrastructure type. Respond No to the multiple tenants question. Navigate to Infrastructure > Networks and click Create. To use the same VIPs as cluster IPs – Enter the same subnet as the cluster IP subnet e.g. 172.30.0.0/16 with no static IP address pool. 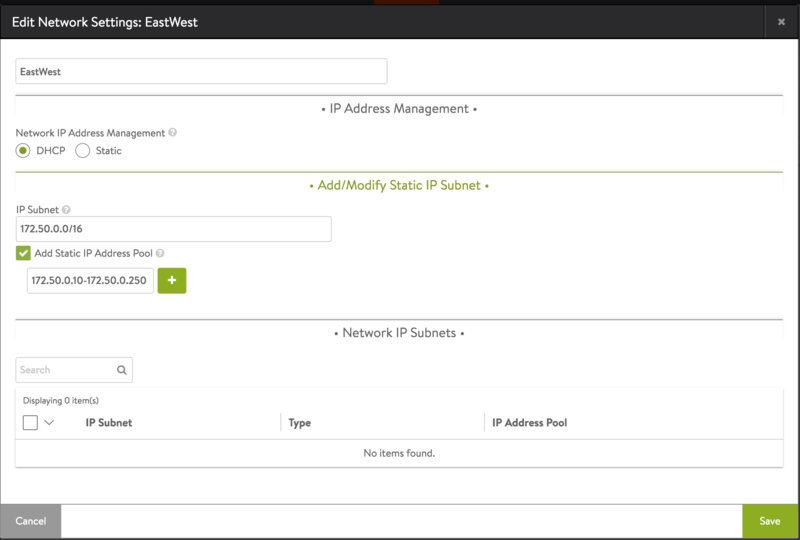 East-west services simply use the allocated cluster IP as VIPs. To use a different subnet for VIPs for east-west services – Enter the subnet information and create a IP address pool from the subnet. East-west services will be allocated VIPs from this IPAM pool. 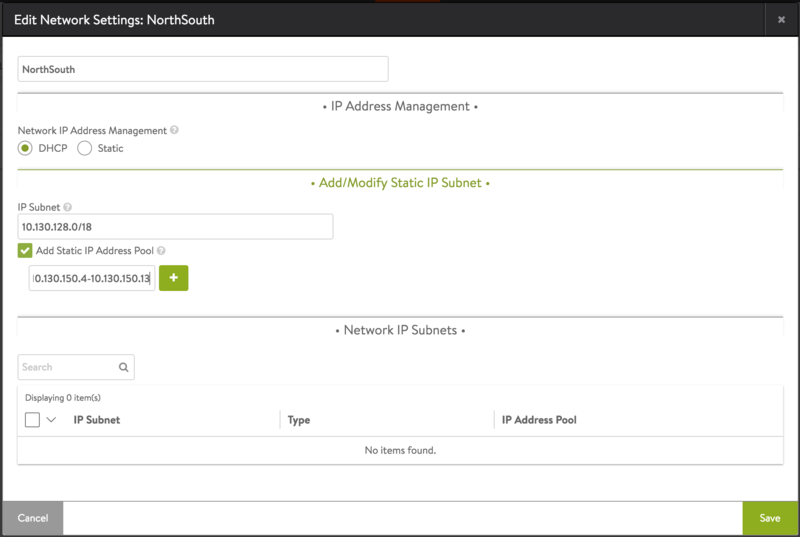 Create NorthSouth network and add subnet with static IP range for IPs to be used by north-south virtual services. Navigate to Templates > Profile > IPAM/DNS Profile and click Create. Create the EastWest Profile: Give the profile the name EastWest. 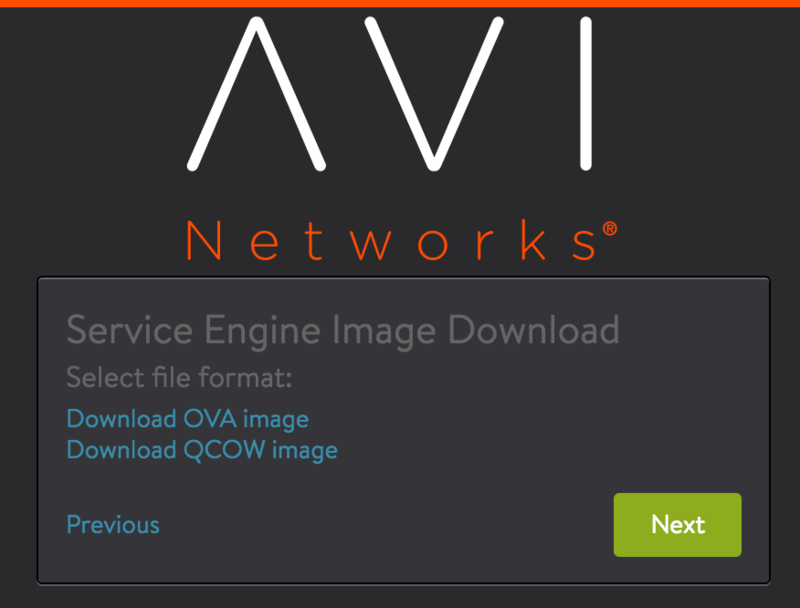 Select Type: Avi Vantage DNS. Fill in the required Domain Name field. Change the default TTL for all domains or just for this particular domain if desired. Click Save. Create the NorthSouth profile: Give the profile the name NorthSouth. 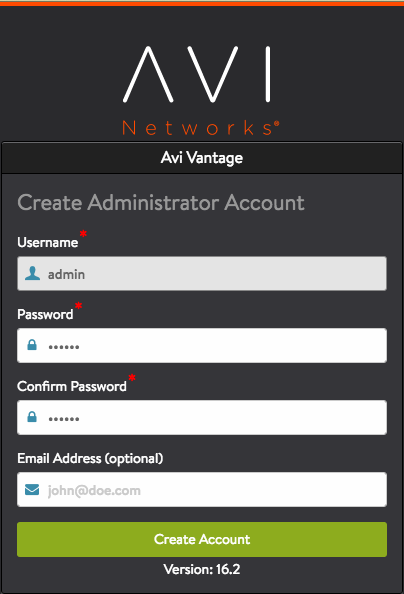 Select Type: Avi Vantage DNS. Fill in the required Domain Name field. 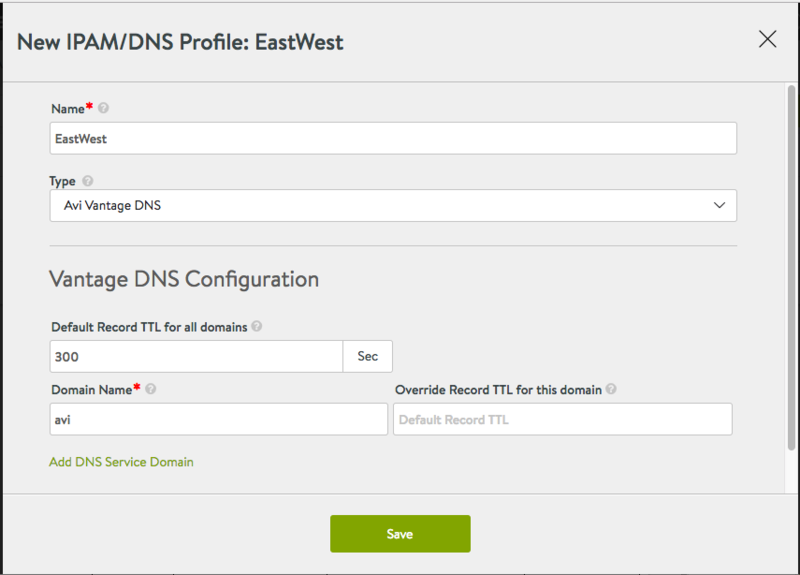 Change the default TTL for all domains or just for this particular domain if desired. Click Save. 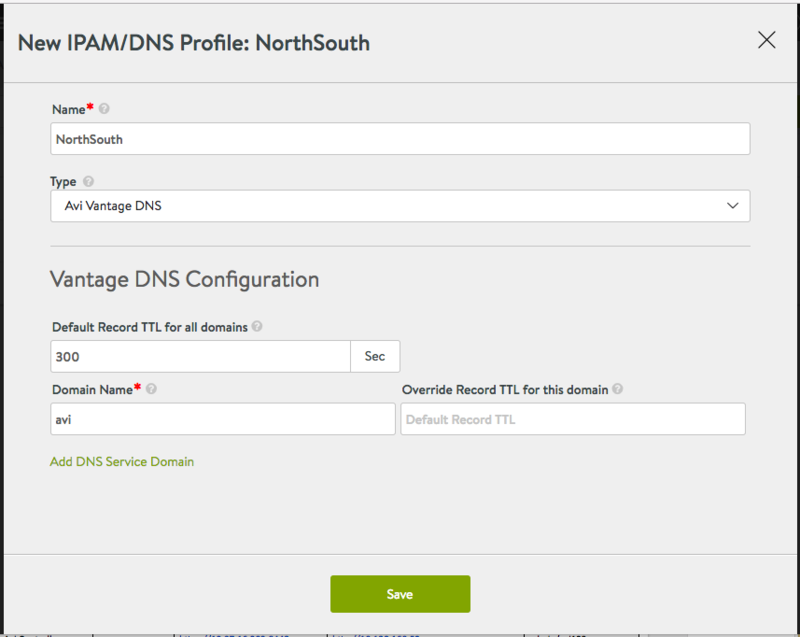 Note: Since Avi Vantage 17.1.1, a DNS record is picked automatically if the DNS profile is Avi Vantage or AWS. 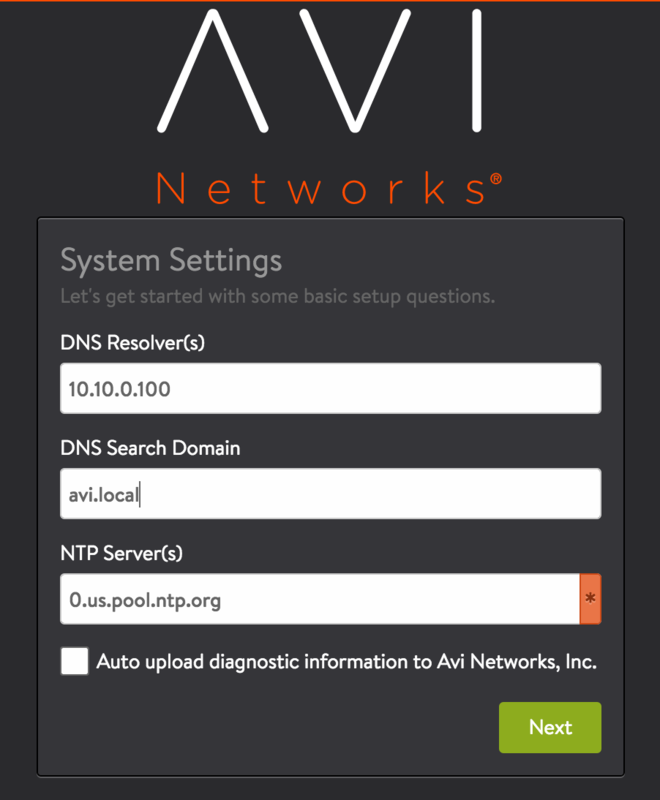 With 18.1.4, Avi also supports Infoblox as the DNS provider. For more information, refer to the IPAM and DNS Provider (Infoblox) article. Note: This is Applicable from version 17.2.10 onwards. 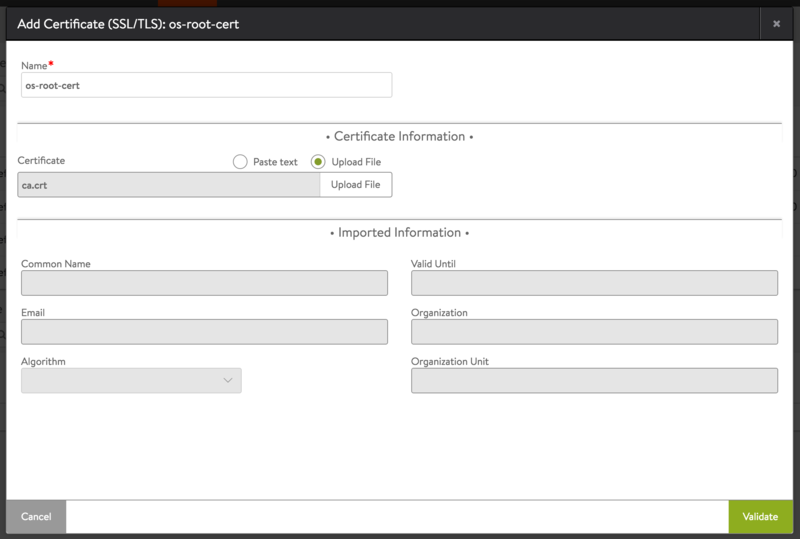 On Avi Controller, navigate to Infrastructure > Credentials > and click Create. 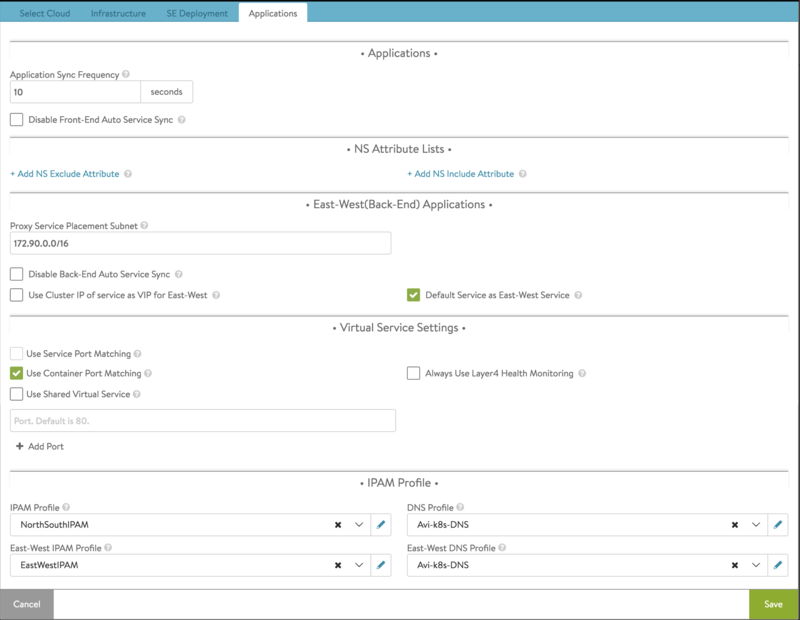 Note: For the configuration explained here, it is assumed that kube-proxy is disabled on OpenShift/Kubernetes nodes and you are using Avi’s internal DNS/IPAM. Ensure that ‘Enable Event Subscription’ is selected. 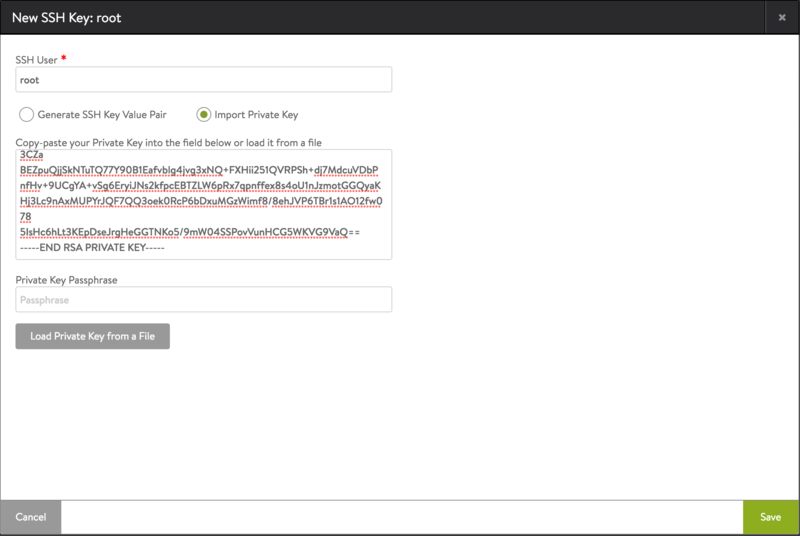 Select ‘Token’ and paste the Service Account Token for authentication. Enter the OpenShift/Kubernetes API URL as shown below. Select ‘Create SE as a Pod’ deployment method. 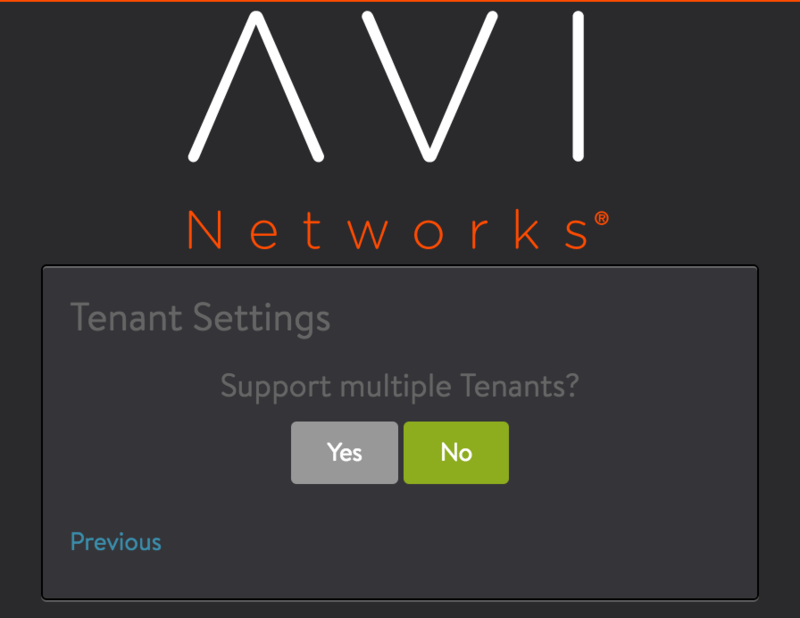 Keep ‘Proxy Service Placement Subnet’ same as ‘Avi Bridge Subnet’ in previous tab (default is 172.18.0.1/16). Set IPAM and DNS Profiles from the dropdown menu as shown. Refer to Kubernetes Ingress Virtual Service Configuration to learn how to create and test traffic with Kubernets ingresses.